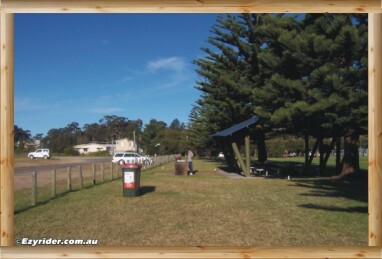 Corrigans Beach Park is located at Batehaven on Beach Road at Corrigans Beach. This park is popular all year round, especially in the summer months because of the variety of services, attractions and facilities that surround this park. 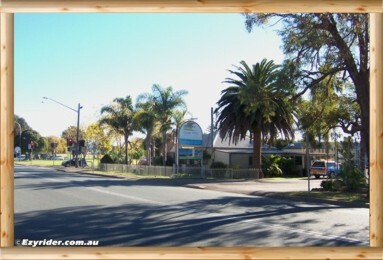 There is a caravan and camping park next door and motel and unit accommodation just over the road. Food, take away, fish and chips, a Thai restaurant, chemist, bakery, butcher and a supermarket are centrally located. 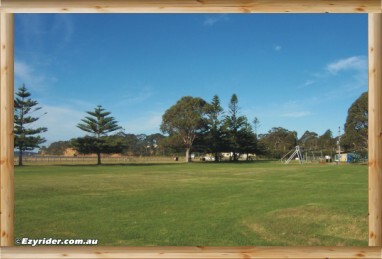 In fact Batehaven is a service location on its own for your caravan, camping park and motel holiday accommodation. They do have a market day on the weekend once a month and in the summer months is a carnival that stays until the end of January. 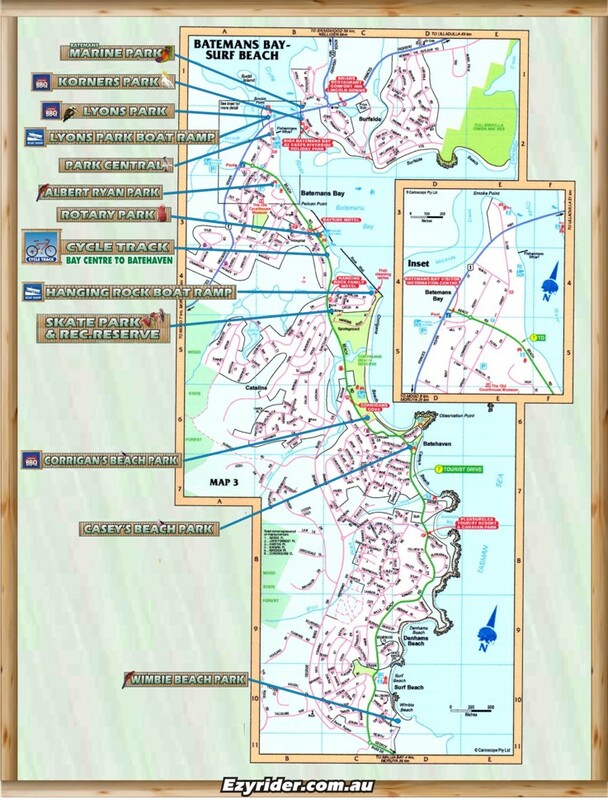 A map of Batemans Bay Parks is located at the bottom of this page. This is a view to the left of the seating and BBQ area showing the parking, with the cabin and camping ground in the background. 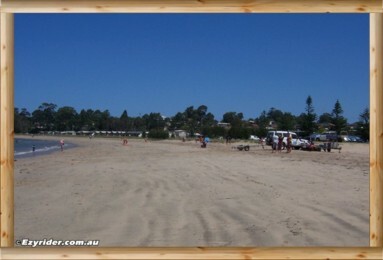 Corrigans beach is further left. 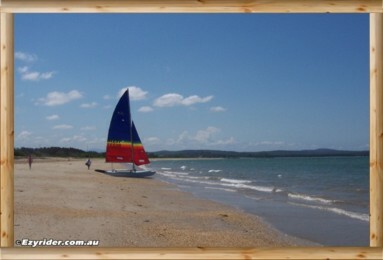 Looking west at Corrigans beach. 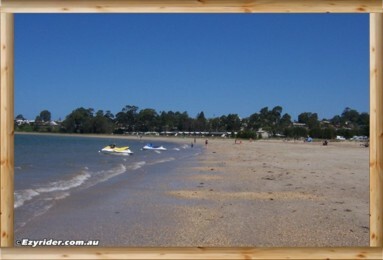 A calm water beach suitable for fishing and swimming. A good place for a walk to the end and back (about half hour) At the end is a fishing area that juts out to the ocean and the boat ramp. 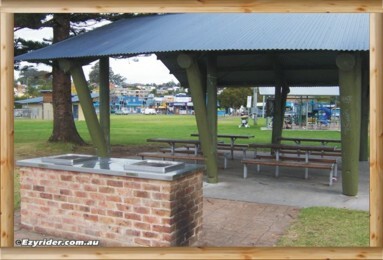 The BBQ and seating area with the playground in the background. No money is required for the BBQ - but suggest you bring a BBQ mat. 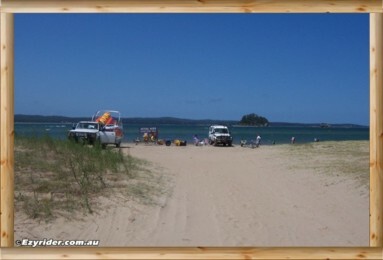 Corrigans Beach in the holiday season. Beach scenes close to the park. A variety of water vessel hire is adjacent to the park. 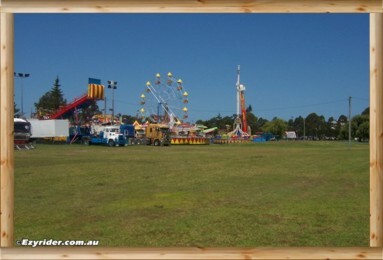 There is a Carnival each year from December to January. 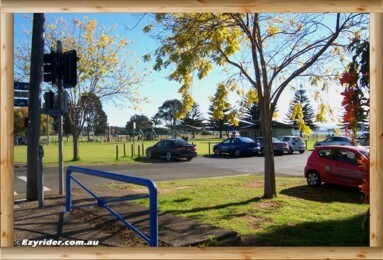 Looking east towards Corrigans Beach Park, and the playground. The grassed area in the foreground is used for markets once a month. Standing in the same position and moving the camera to the left towards Corrigans Beach. To the left is more parking and then another large area for the Carnival in December. 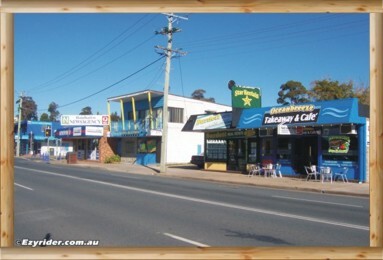 Some of the Batehaven shops. In this photo: A take-away, a fish and chip shop, real estate and newsagency. The supermarket is in the rear parking area. 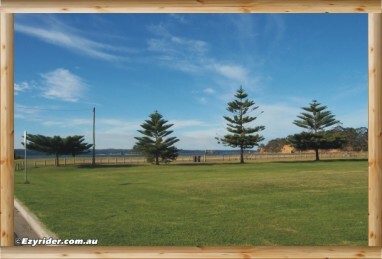 The Clyde View Holiday Park is right beside Corrigans Beach Park. 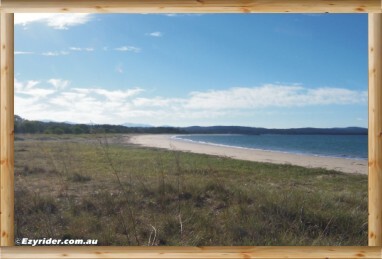 www.clydeview.com.au Looking back towards Corrigans Beach Park at the corner of Clyde View Holiday Park. Corrigans Cove - Kon Tiki Motel - Abel Tasman Motel and Araluen Motel.